We are a proud sponsor of the 2018 Miami Book Fair. As always, all opinions are ours. 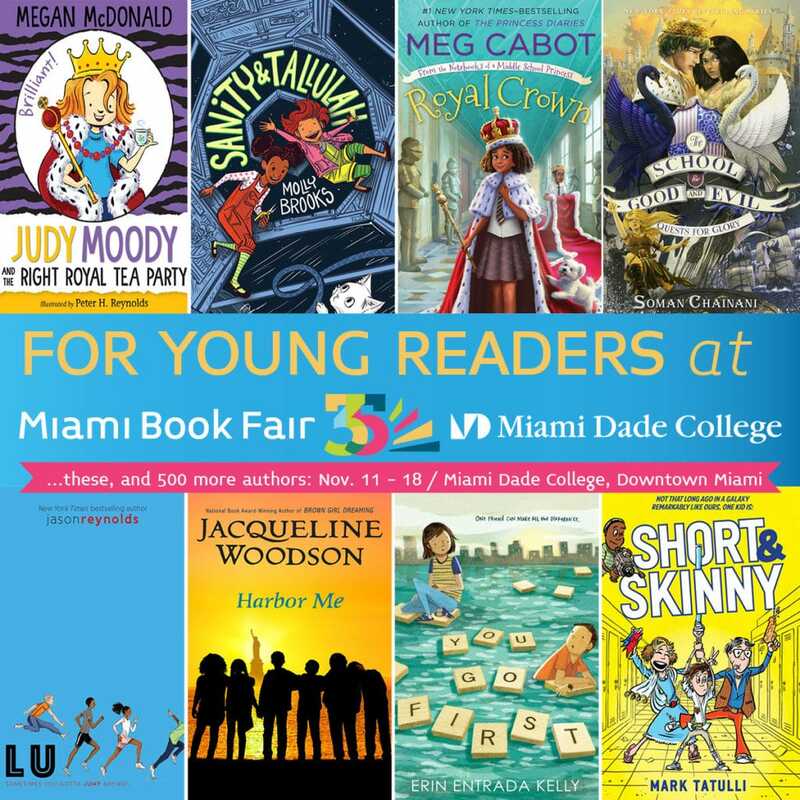 The 2018 Miami Book Fair will feature presentations by some of the hottest authors for kids and young adults, with readings by Gene Yang, Jason Segel, Mercedes Lackey, Peter Lerangis, Maggie Thrash, Nathan Hale Mariko Tamaki and many more! Once again, The Fair will bring more than 9,000 schoolchildren on school buses to the Fair so they can meet their favorite authors and receive FREE books! 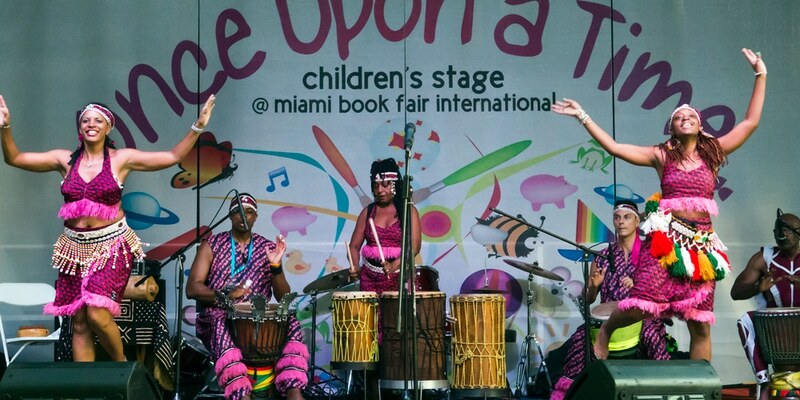 The children’s stage will host storytelling and a myriad of performances sure to delight and engage kids of all ages! Olympic medalist fencer and one of TIME’s 100 Most Influential People Ibtihaj Muhummad’s inspiring memoir Proud: My Fight for an Unlikely American Dream about the tremendous obstacles, racism, and pressures she has overcome to become the first Muslim-American woman to compete in hijab for the United States. Kate Schatz, Rad Girls Can (YA) profiles a diverse group of young women advocating for girls’ rights. Megan Shepherd, Grim Lovelies From New York Times bestselling author Megan Shepherd, Grim Lovelies is an epic and glittering YA fantasy. Prepare to be spellbound by the world of Grim Lovelies, where secrets have been long buried, friends can become enemies, and everything—especially humanity—comes at a price. Kiersten White, The Dark Descent of Elizabeth Frankenstein For the YA audience, this dark reimagining of the Mary Shelley classic is told from the point of view of Elizabeth, Victor Frankenstein’s adopted sister, timed for the 200th anniversary of Frankenstein. Sara Farizan, is an Iranian American writer and ardent basketball fan who was born in and lives near Boston. In Here to Stay, What happens when a kid who’s flown under the radar for most of high school gets pulled off the bench to make the winning basket in a varsity playoff game? If his name is Bijan Majidi, life is suddenly high fives in the hallways and invitations to exclusive parties—along with an anonymous photo sent by a school cyberbully that makes Bijan look like a terrorist. Lots of classmates rally around Bijan. Others make it clear they don’t want him or anybody who looks like him at their school. But it’s not always easy to tell your enemies from your friends. Kody Keplinger, That’s Not What Happened It’s been three years since the Virgil County High School Massacre. Three years since my best friend, Sarah, was killed in a bathroom stall during the mass shooting. Everyone knows Sarah’s story… But it’s not true. I don’t know what will be worse: the guilt of staying silent or the consequences of speaking up . . .
John McGoran Spliced. In this gripping sci-fi thriller, genetically altered teens fight for survival in a near-future society that is redefining what it means to be human. Sixteen-year-old Jimi knows people change, but nothing could prepare her for what’s about to happen to her best friend, Del. The second installment of Zack Loran Clark and Nick Eliopulos’s Adventurers Guild trilogy, where the stakes are raised, the action is breathless, and the dangers will stop even the bravest of hearts. Jason Reynolds, Lu (mid, 5-7 gr) the climactic final novel in Jason Reynolds award-winning YA Track series. Conor McCreery, Adventure Time/Regular Time In a Regular Show and Adventure Time crossover, Finn and Jake find themselves traveling across different worlds in search of The Power — turns out that Mordecai and Rigby might be able to help out…or make things worse. George O’Connor Olympians #10 Hermes: Tales of the Trickster The New York Times bestselling series continues as author/artist George O’Connor focuses on Hermes, the trickster god in Olympians: Hermes: Tales of the Trickster. David Levithan Someday is the follow-up to the wildly successful Every Day. The new book takes readers further into the lives of A, Rhiannon, Nathan, and the person they may think they know as Reverend Poole, exploring more deeply the questions at the core of Every Day: What is a soul? And what makes us human? Nic Stone, Odd One Out From the New York Times bestselling author of Dear Martin comes this illuminating exploration of old friendships, new crushes, and the path to self-discovery, in Nic Stone’s Odd One Out. Allison Glock-Cooper & T Cooper, Changers (YA) explores what it means to find yourself–even as your self keeps changing–and how in the end we become the person whose story we want to finish. Maggie Thrash Lost Soul, Be at Peace Following her acclaimed Honor Girl, Maggie Thrash revisits a period of teenage depression in a graphic memoir Lost Soul, Be at Peace that is at once thoughtful, honest, and marked by hope. Natasha Ngan, Girls of Paper and Fire Searing, visceral fantasy will remind us how precious freedom is–and the price we must pay to achieve it. Tiffany D. Jackson, Monday’s Not Coming As 8th grader Claudia digs deeper into her friend Monday’s disappearance, she discovers that no one seems to remember the last time they saw her. How can a teenage girl just vanish without anyone noticing that she’s gone? Tiffany is also the author of winner Allegedly, named one of the Best YA Books of 2017 by Kirkus Review, School library Journal, NY ad Chicago Public Library, Texas Library Association, and nominated for a NAACP Image award. Jenny Torres Sanchez, The Fall of Innocence The Lovely Bones meets Thirteen Reasons Why in this gorgeous, haunting, and tragic novel that examines the crippling–and far-reaching-effects of one person’s trauma on her family, her community, and herself, Jenny Torres Sanchez. John Hendrix The Faithful Spy Interweaving handwritten text and art in his signature style, John Hendrix tells the fascinating story of Dietrich Bonhoeffer and his fight against the oppression of the German people during World War II. Someday, written by David Levithan, is the follow-up to the wildly successful Every Day. The new book takes readers further into the lives of A, Rhiannon, Nathan, and the person they may think they know as Reverend Poole, exploring more deeply the questions at the core of Every Day: What is a soul? And what makes us human. Three families will win a Family Four Pack each, which will allow them for 4 family members to enter the book fair for free! Winners will be announced here in the blog post and also notified via e-mail with instructions on how to claim the tickets. 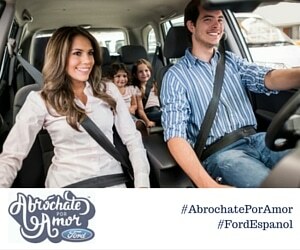 Please enter below and good luck! 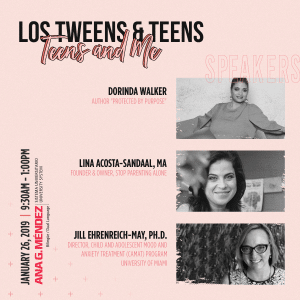 This entry was posted in Parenting Teens, Raising Tweens and tagged books for teens, books for tweens, Miami Book Fair. Bookmark the permalink.